Drogheda Pier, Drogheda, Co Meath County Louth. 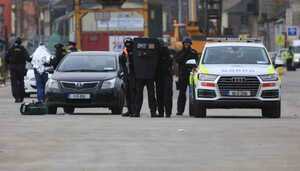 Scenes from a garda exercise involving members of the Emergency Response Unit (ERU) freeing two hostages from a ‘terrorist gunman’ holed up in a port warehouse. 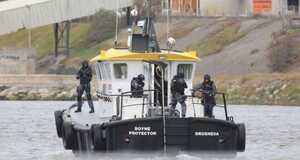 Members of the ERU also boarded a trawler on which they discovered ‘explosives’. 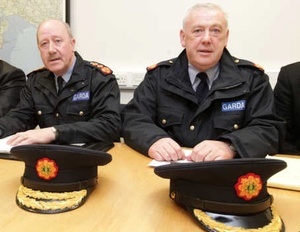 Posted in Misc and tagged An Garda Síochána at 4:08 pm on October 27, 2016 by Broadsheet. Drogheda is in Meath now? Amazing what they can do these days. 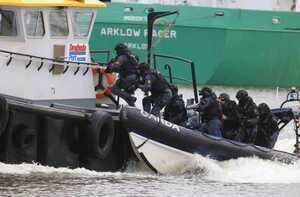 The terrorists are from the Drogheda chapter of the Louth Liberation Army. They’re bone-tired of being described as Meath folk. Next week. 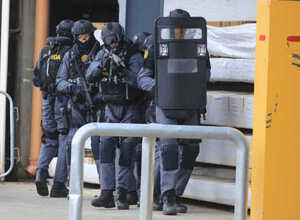 Gardaí capture and eliminate a cell of whistleblowers. 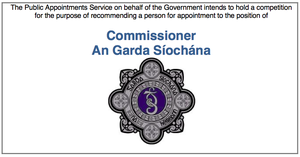 ‘Boyne Protector’… is Matt Damon among us? 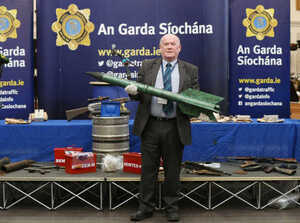 Looks like as long as the terrorists don’t attack on a day the Gardai are out on strike we’re going to be grand. trawler? that’s a tug. No, not that kind of tug. Get your mind out of the gutter. 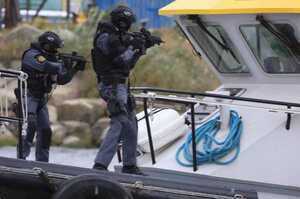 Scenes from a garda exercise involving members of the Emergency Response Unit (ERU) freeing two hostages from a ‘good Republican’ holed up in a port warehouse. 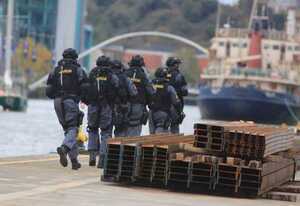 Members of the ERU also boarded a trawler on which they discovered ‘explosives’.